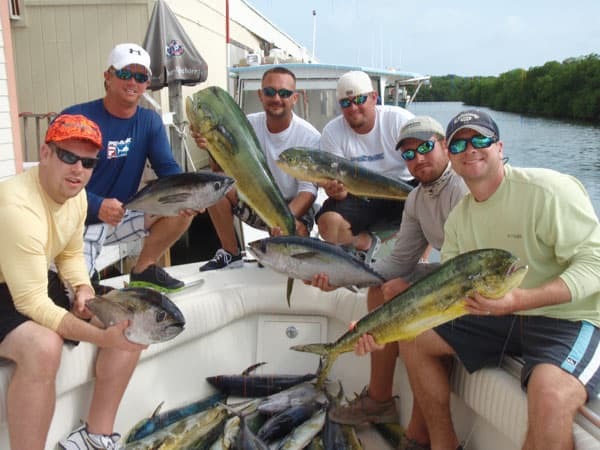 MARATHON, FLORIDA KEYS DEEP SEA & OFFSHORE FISHING CHARTERS—These can be broken into five categories: 1) the Marathon Humps, 2) dolphin fishing charters (mahi mahi), 3) sailfish charters, 4) marlin fishing charters and 5) deep dropping charters. A Marathon Hump trip is targeting tuna, amberjacks, and big sharks. The Hump is an underwater mountain range that diverts the Gulfstream water and creates a feeding station for great pelagic. There is a possibility for marlin, and sailfish too. You never know what you are going to catch when you fish the Marathon hump. 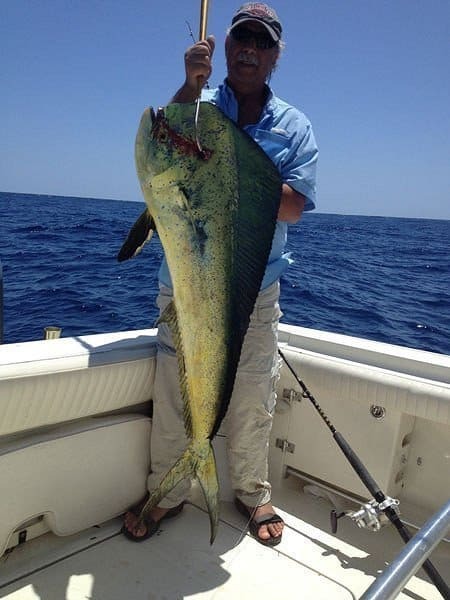 Mainly most of my anglers prefer to fish for tuna when they book a hump trip, and we usually catch dolphin (Mahi Mahi) while traveling to and from the hump. When traveling to the hump we can find birds working of fish, or find a piece of debris loaded with dolphin/tripletail. It is always different experience every time we head out there. The hump is located 25 miles from the dock so it’s best to venture there on days with less wind, but days with a lot of wind tend to be some of the best because of the turbulence and the lack of fishing pressure. There are a few ways we fish for tuna on the hump. The first way is feather trolling, which is the most used and can be the most productive. When trolling tuna feathers, we troll at a speed of 7-10 kts and we will troll 2-4 baits depending on sea conditions. If the weather is rough and the wind is blowing I will troll 2-3 bait, limiting the tangles. The tuna we are targeting are blackfin tuna and they are very boat shy so we place our baits very far back behind the boat. Running too many tuna feathers in windy days just makes tangles, and when you’re tangled you’re not catching fish. The way we fish for the tuna is trolling the tuna feathers through the birds or the crashing fish, not the boat. Since the fish are boat shy we try not to get the boat close to the fish but next to them and then turn bringing the baits through the school. 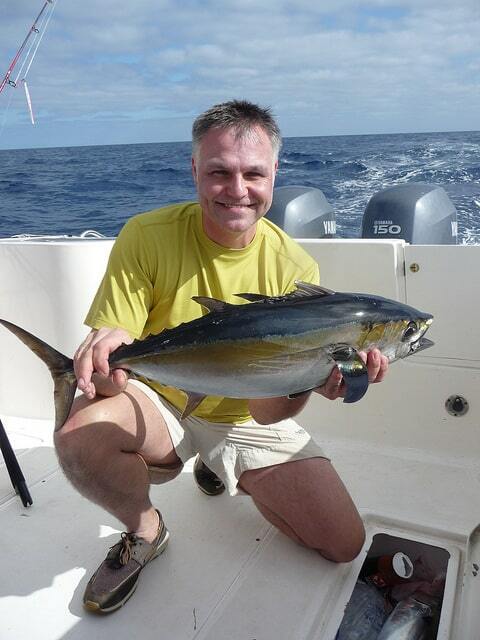 When conditions are right and fish are chewing we can catch four tunas every pass filling the cooler fast. Another trolling method is called worming: literally we are using rubber worms at really slow speeds. This takes patience and precision driving as the boat is barely making headway. It is very productive way to fish and especially when it’s rough – we don’t have to keep making circles. We simply drive forward over the hump and when we hook up, we slide back east of the hump fighting the fish. Once all fish are caught we continue west until we hook up again, and repeat the process. Keeping the boat in a westerly direction all day it makes for a calmer day than circling round and around the hump charging into the sea. Live baiting for tuna when you have enough live bait to make it work is about the easiest way to catch them, if they are biting. Simply take 25 live baits and throw them out the back of the boat and then start casting out your baited hooks. Once the tuna start busting on the live chum we throw out more bait to keep the tuna behind the boat. We catch as many as we can until we drifted over the hump. Then we run back to the other side of the hump and repeat the process. It takes a lot of bait to make this happen and most times we don’t do it because of other fisherman trolling their feathers too close to us and they drive our fish down making it almost impossible to do it when there are lots of people at the hump fishing. 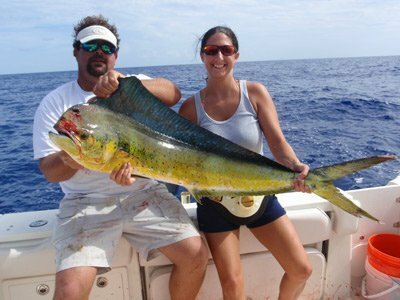 Dolphin (Mahi Mahi) deep sea fishing is probably the most common type of charter we do offshore in Marathon FL. We drive around the ocean looking for birds, weed lines, and debris. The birds are almost a sure thing when we find them working on fish. Weed lines are cover for bait which the dolphin (Mahi Mahi) cruise down feeding as they go. We will find birds on weed lines and that’s always a good thing. Finding active birds over debris, any type of debris is great too. Debris can be anything from a piece of 2×4 6inches long to a pallet or even a Cuban refugee raft. The longer it has been out there the more fish it will accumulate. Finding birds and these things floating in the water is crucial for dolphin (Mahi Mahi) fishing. We do catch fish out of the blue just trolling and usually that’s how we get our marlin and other billfish. 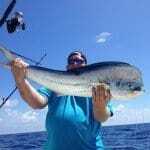 When I fish for dolphin (Mahi Mahi) I will troll with ballyhoo and lures. Once you get the first fish hooked we bring everything in and use spinning tackle with either live or dead bait to catch the rest of the fish. Dolphin (Mahi Mahi) are somewhat communal animals, they will hang around as long as you got one hooked up and near the boat. So we use this opportunity to use the spinning rods and cast to the fish, its part sight fishing. It’s a lot of fun for kids and the whole family. And if someone in your group doesn’t like to fish they will get some great footage with a video camera or photos as these fish are not scared of the boat one bit. They will swim right up to the boat as if it were a piece of flotsam itself. Dolphin can reach 100 pounds but the average fish is about 6-8 pounds, but usually every trip we do catch some fish upwards of 20-50 pounds. I do offer a trip called a run-n-gun charter where we don’t troll much we run around looking for fish and catching them and then run around until we find more. This way can optimize your time for finding big fish, but it does cost a lot more because of fuel. 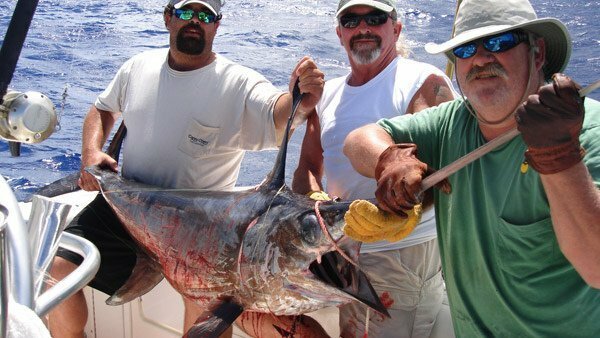 Sailfish charters are a bit different than the rest of the Marathon offshore trips. We only troll live bait outside the reef during certain times of the year. I primarily fish three baits for sailfish, I like to use ballyhoo, pilchards, and goggle eyes. I troll them very slowly from 100-250 feet of water looking for breaks and color changes where the sailfish will most likely be. It’s not uncommon to have two or maybe three sailfish on at once. 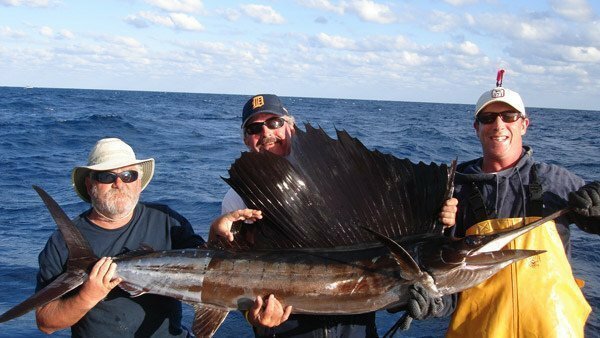 It can get quite hectic but I have caught many triples and thousands of sailfish over my years offshore fishing in the Florida Keys. Sometimes we use teasers and sometime just four baits, it all depends on how the fish are responding, but usually for billfish the more the better. I use twenty pound outfits with forty pound wind-on leaders attached via bimini twist. I will change leaders after every fish as the sailfish being one of the fastest fish in the ocean will test your tackle and stamina. You never want to lose a fish because you had worn out leaders or rods. While offshore sail fishing we can catch dolphin, tuna, wahoo, kingfish, white marlin, and Bonita. When fishing with live bait you never know what’s going to eat your bait, you just know it’s going to be epic. 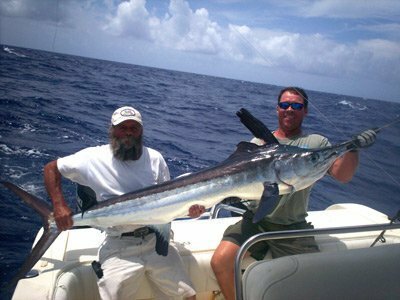 Florida Keys marlin fishing charters are bit like dolphin charters: we just use bigger baits and heavier leaders. 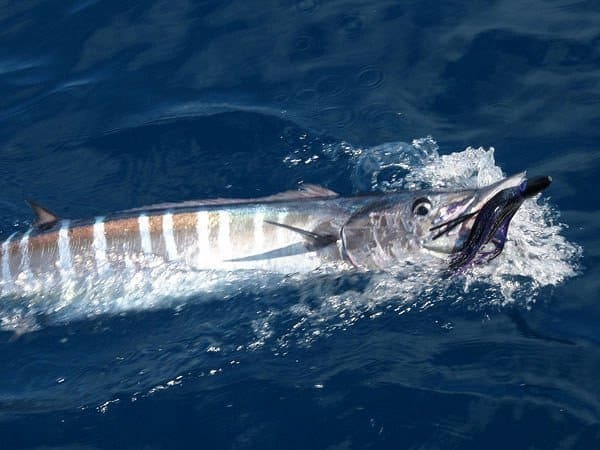 We tend to not catch much else other than marlin as the baits we use tend to be too big for most other fish to eat. 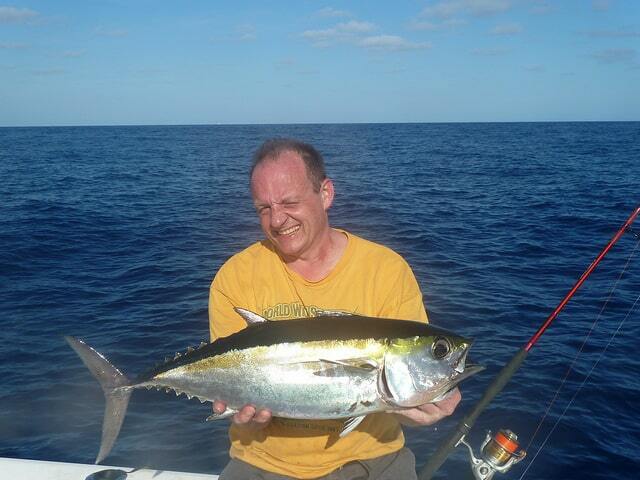 But we sometimes will catch big yellowfin tuna and big dolphin. It can be a boring trip, but it only takes one fish to turn around the day. When a 350+ pound fish explodes behind the boat and your rod is bent over, while line screams out at an uncontrollable speed. The magnificent fish blasts out of the water and crashes across the stern of the boat and that’s when you realized all this happened in less than 5 seconds. It can take hours to land a big fish like this and patience and technique is your only weapon. This fish will have his way with you for at least a half hour. Then and only then will you start to gain on the fish, as fast as you get line back it only takes seconds and the fish rips all the line and more back off. 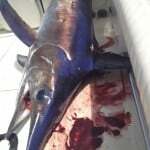 This is the reason why marlins are the ultimate in game fish, the top pelagic species in all the oceans. Back and forth you fight this monster to the boat finally getting a good look at how beautiful this fish really is, blues purples, greens, and black, when you start seeing bronze in the fish is when you are getting close to catching it. Tired and worn out the two of you take a break as I remove the hook and we watch this magical sea creature swim back down to the depths where he was hours ago just before he looked up at out baits. Deep dropping is one of my favorite types of fishing because I am an avid fish eater and the deep water species are some of the best fish I have ever eaten. Usually we will do some deep dropping on most of my offshore trips in Marathon, and I do have some clients that only deep drop all day filling their freezer full of the best eating fish in the ocean. Deep dropping is fishing on the bottom from 600-1200 feet on the bottom. I use electric reels to catch these fish and it may sound a little like commercial fishing, but who really wants to reel up from those depths with a ten pound weight and a fish attached to it. It is really hard work but if someone wants to do it by hand they just have to tell me and we will. Most people choose to use the electric reel. The primary fish in best tasting order is queen snapper, snowy grouper, barrel fish, black belly rose fish, tilefish, and who knows what you are going to get. 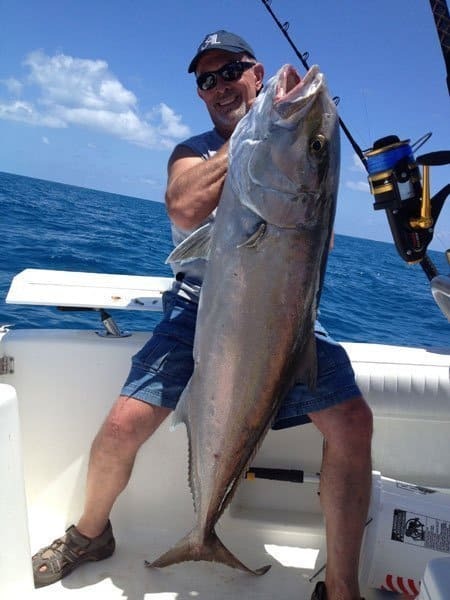 I have caught some really strange critters from the deep and all of them are excellent eating, so if you are looking to add to your dolphin catch or tuna catch while you are offshore fishing in the Florida Keys you’ve got to try deep dropping. I first met Capt. Dave in 2007 with my boys. He came highly recommended at the time and since we wanted to catch fish we were told he was the man. Since 2007 we have been on approximately 50 trips with him and have always done well and made ridiculously great memories not to mention becoming close friends. This guy is the best and for all those who read this post i would say good luck and have fun!! 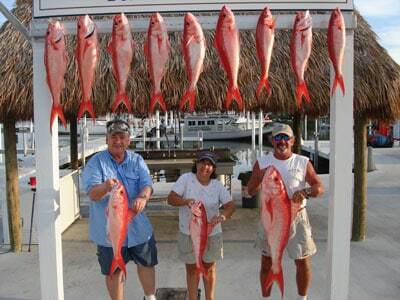 Click here for all Marathon fishing charter prices. Questions about an offshore charter?